dock10, the UK's leading television facility, has today announced a major investment to build a new broadcast network to support the future of television production. 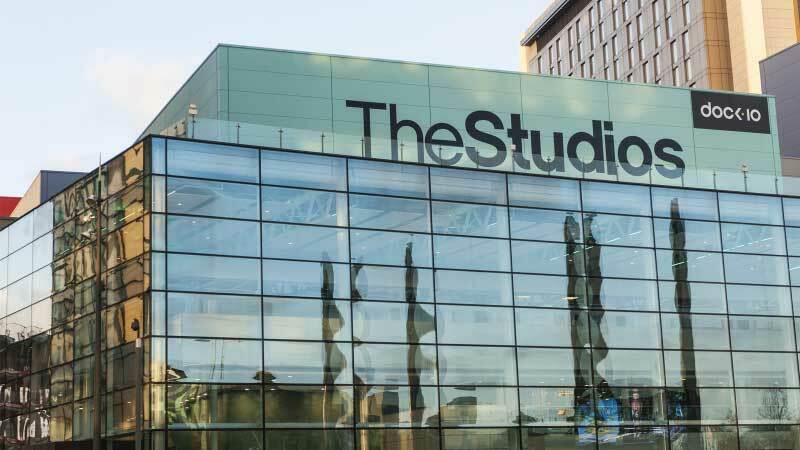 Connected to the top-spec 200Gbps network will be the facility's ten television studios and their galleries, more than fifty post production suites, ingest, control rooms and the data centre. Incorporating innovative technology and design, this pioneering network is being developed around the demands of next generation media and workflows, specifically 4K UHD/HDR and VR/AR. Built to extremely impressive technical specifications, the new network comprises of two interlinked elements with a Control LAN monitoring and managing studio and gallery equipment in real time, while a Production LAN is dedicated to supporting 4K file-based content workflows. The entirely new architecture being deployed is both inherently scalable and future proofed to comfortably manage the projected increases in data traffic as well as the continued growth of dock10 itself. A full range of the latest software control tools and detailed analytics constantly monitor the entire network to ensure its stability and smooth running, 24/7. On top of this, with the industry increasingly concerned about cyber security, the broadcast network has been built to securely counter this threat. It is a dedicated standalone network, used exclusively for broadcast content, and it has in place all the latest cyber security safeguards to meet the exacting standards dock10's clients expect. The new network delivers spectacular advantages and efficiencies for dock10's customers. A UHD television show captured in dock10's studios can be made instantly available for editing and then sent directly for transmission from post production, delivering clients exceptionally fast turnaround of UHD programmes. Similarly, the new network allows 4K contributions for live shows to be edited in dock10's post production and be available immediately for live playout, allowing changes to be made right up to transmission. Mark Senior, CEO at dock10, said: "At dock10 we are passionate about delivering the highest possible standards, and alongside developing our amazing team of talent we are committed to a continual investment in new technology and infrastructure to better support our customers. Across The Studios and Post Production, this new broadcast network powerfully connects together our core technology in a way that will confidently meet the future demands of television production."